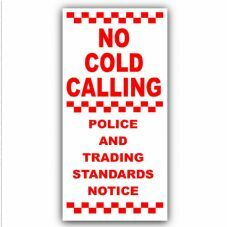 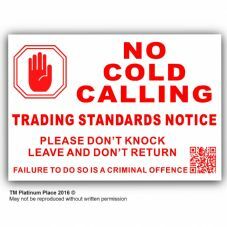 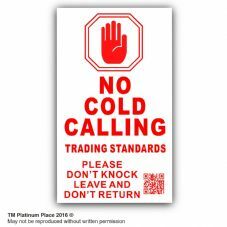 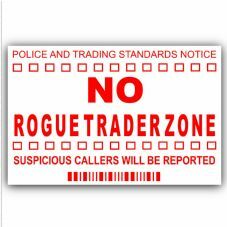 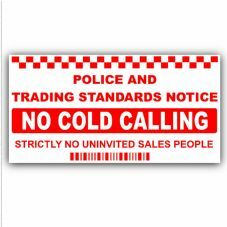 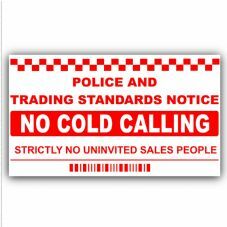 This is our range of Cold Calling Stickers, to help to stop unwanted callers on your door step. 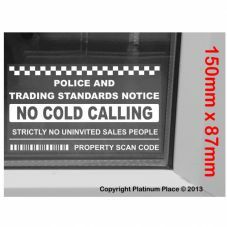 We have Window and External Signs, and a very unique design with a QR Code Printed. 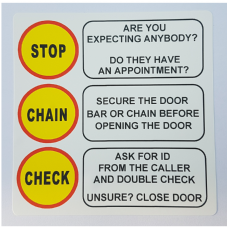 This QR Code links to a website of ours that gives information to anyone who decides to scan it. 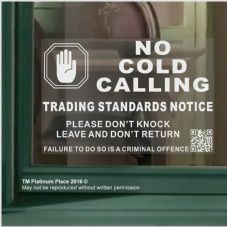 Stop the doorstep salesman in their tracks.